With the inauguration of the 116th Congress, Speaker Designate Nancy Pelosi will make history as the first person in 60 years to reclaim the Speaker’s gavel after having previously been deposed from the position by an opposing party. Giving momentum to Nancy Pelosi’s campaign for the role are a long line of domestic policy achievements, primarily the Affordable Care Act, that her supporters believe qualify her to resume the position in the era of Trump. Less remembered, however, are the foreign policy elements that brought Pelosi into the limelight and became a large part of her political ascendancy. Unquestionably in the early 2000’s Pelosi made a name for herself by strongly opposing the American invasion of Iraq. As geopolitical circumstances changed, Pelosi has expanded beyond the Iraq War to champion additional foreign policy priorities, particularly the Joint Comprehensive Plan of Action (JCPOA). Now with Pelosi once again set to arguably become the most powerful Democrat in Washington, it is worth examining the previous international forays of the Speaker Designate, as her legislative strategies will likely inform how she approaches expected House deliberations related to the future of the US-Saudi relationship. Whether it be strategies to reign in President Bush’s Iraq War spending, or willingness to override President Obama’s position on the Justice Against Sponsors of Terrorism Act (JASTA), Pelosi has routinely navigated foreign policy issues that became divisive even within her own party. In doing so, Pelosi has mastered the political maneuvering required for a lengthy career in Washington, and simultaneously refashioned the global role of House Speaker. Pelosi’s proxy-approach to Iraq can be seen in her early endorsement of Rep. John Murtha (D-PA08) for House Whip. Earlier that year Murtha, (a conservative Blue-Dog Democrat and Vietnam War hero who had voted in favor of the Iraq War Resolution), shocked Washington when he ardently came out in favor of a quick troop withdrawal in a speech so unexpected it was coined a “murthquake.” Given Murtha’s legitimacy on matters related to war and peace, in giving Murtha a wide platform Pelosi made war-opposition, (an issue once associated with an aura of coastal elitism and college-campus activism), mainstream within the Democratic party. Murtha was defeated, however, at that point, his opposition still gave Democrats the credibility they needed and on several instances throughout the war Congressman Murtha was dispatched by Pelosi to be the face of the Democratic opposition to Iraq. A first major moment testing Pelosi’s and Democrat’s resolve against the Iraq war came in 2007 when the White House and Congress had to negotiate funding for the President’s proposed troop surge. 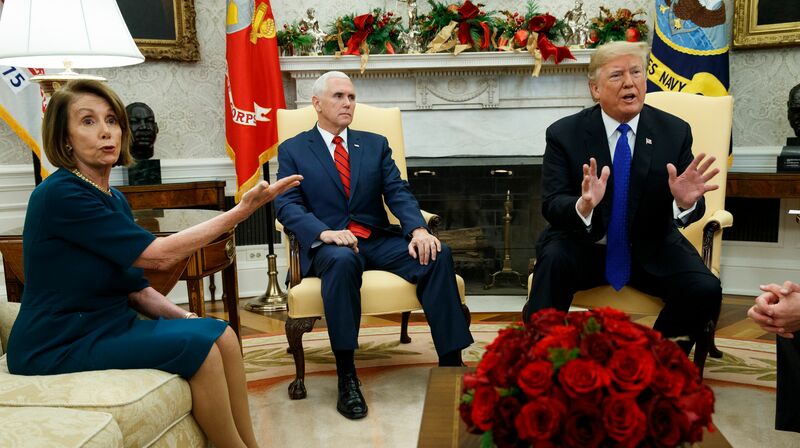 Speaker Pelosi held firm and maintained that Democrat’s would not pull funding from troops already stationed in the region, however, the President’s idea of a surge proved more controversial. Ultimately, Pelosi fashioned (and passed) a bill that funded Bush’s war, contingent upon a combat-troop withdrawal by late 2008. President Bush previously had made clear that such a bill would result in a Presidential veto. Emphasizing the balancing act required by the speaker, Pelosi also had to placate her party’s “out-of-Iraq” caucus. Members of the group implied they would vote “nay” on any additional Iraq funding. Such a rift between Pelosi and the Democrat’s uber-progressives was briefly magnified by Cindy Sheehan, a “peace mom” whose son was killed in Iraq, who mounted a challenge against Pelosi in her home district over her continued funding of the war. Ultimately Pelosi convinced the caucus that she could easily compensate for their “nays” with aisle-crossing Republican votes. Pelosi went on to preside over multiple additional successful House votes that set a withdraw date, however, these bills failed to pass the Senate and would have likely resulted in a Presidential veto. The situation greatly changed for Pelosi when the Presidency was reclaimed by the Democrats. However, with the party’s progressive wing feeling empowered, Pelosi found herself at odds with the President for not withdrawing troops at a satisfactory rate. When President Obama announced that a maximum of 50,000 US troops would be left in Iraq, Pelosi voiced Democrat’s frustrations saying, “I don’t know what the justification is for 50,000…I don’t know that all of them have to be in the country.” Still, Pelosi was exuberant at the commencement of the withdraw process, and of course – emphasized Democrat’s continued funding of American troops, despite vehemently opposing the war in which they had been fighting. In sum, Pelosi’s ability to unify disparate Democrats all while shielding the Democratic party from being cast as unpatriotic shows how the Speaker utilized a foreign policy issue to legitimate her leadership. For as much as the Iraq war dominated Pelosi’s early tenure within the Democratic leadership, the advent of the withdraw process quickly allowed her to shift focus to other Gulf-related foreign policy issues. The Speaker has routinely used her perch atop the Democratic Party in order to comment and advance different foreign policy priorities, occasionally at odds with even President Obama and the progressive stalwarts within her party. Despite this contrast, Pelosi did find herself in agreement on many of the President’s foreign policy priorities, especially the Iran Nuclear Agreement. She strongly supported the Iran nuclear deal and considered it a diplomatic masterpiece. She spearheaded a major campaign to back Obama’s effort to sign the deal, even sending handwritten thank you notes to 145 House Democrats who backed Obama’s decision to sign the deal with Tehran. Still, there remained nearly two dozen House Democrats whom she failed to convince to back the deal, 19 of whom ultimately joined the 265 House Republicans in opposing the JCPOA. In her many trips to the region, which since her tenure as Speaker have included Iraq, Qatar, Saudi Arabia, and Bahrain, Pelosi made the role of speaker an international posting. However, such forays into international political issues were not without political consequence. A 2007 trip by the speaker in which she met with both the Syrian President and Saudi King resulted in comments from Bush officials that the Speaker was overstepping her boundaries taking meetings that were, “counterproductive.” The Bush Administration certainly did not appreciate that her trip resulted in a question posed to former President Jimmy Carter “Is House Speaker Nancy Pelosi a Better Envoy to the Middle East than Secretary of State Condoleeza Rice?” Additionally, her visit resulted in a regional editorial calling the Speaker’s visit “a blunt recognition of the failure of the Bush Administration’s Foreign Policy. While the international role of the Speaker of the house is likely to continually evolve, what is nearly indisputable is how Nancy Pelosi’s stances toward Iraq, and the legislative maneuvering she evidenced while holding together her divided caucus, can be credited as the first time her politicking skills were reckoned with on the national stage. Ironically, with the speakership back in sight, Pelosi is once again facing a harrowing prospect as she must balance the demands of vehemently anti-Trump progressives with moderate Democrats looking to cut deals on infrastructure and prescription medicine. And with congressional disgust growing towards US involvement in Yemen, as well as Pelosi herself having expressed a desire to trace President Trump’s personal financial ties to Saudi Arabia, it is clear that the Speaker intends to once-again foray into the international realm. And while Speaker Pelosi remains a polarizing figure, her critics could all agree that for the 78-year-old San Franciscan, the Gulf is familiar territory. “Remembering the Murthquake: When John Murtha Took on the Iraq War,” The Huffington Post, April 10, 2010. “House Passes Spending Bill with Iraq Deadline,” CNN, March 23, 2007. Justin Ewers, “Cindy Sheehan Makes Last Stand Against Nancy Pelosi,” US News, November 4, 2008. John Brensnahan, “Pelosi Plays Hardball, Clyburn Something Else,” Politico, March 19, 2007. Ted Barrett and Deirdre Walsh, “Congress Suddenly Has Buyer’s Remorse for Overriding Obama’s Veto,” CNN, September 29, 2006. 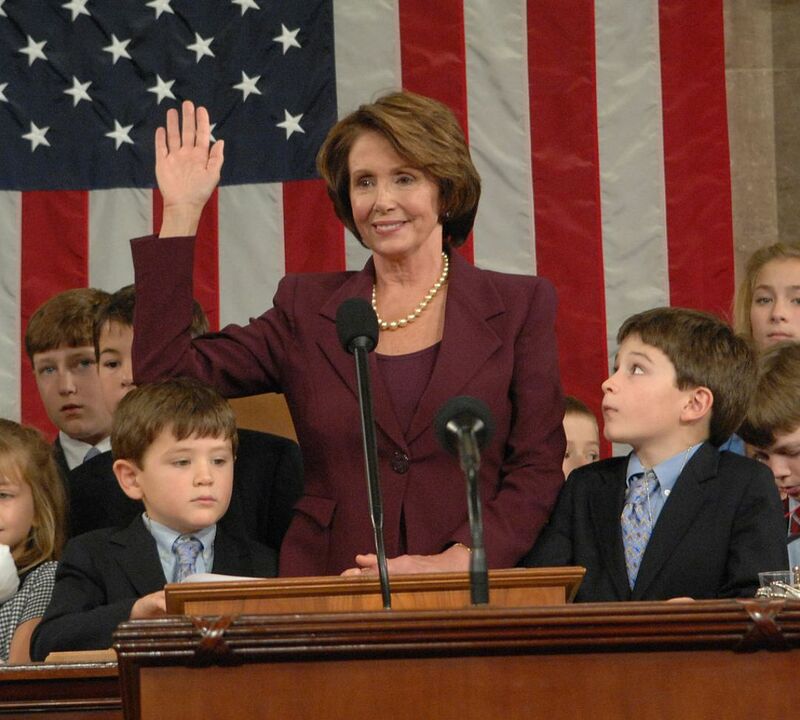 Nancy Pelosi, “Year in Review: Strong Leadership from Leader Pelosi, House Democrats Secures Victories for America’s Working Families,” Office of Nancy Pelosi Speaker – Designate, December 29, 2015. Nancy Pelosi, “Pelosi Statement on Prime Minister Netanyahu’s Address to Congress,” Office Nancy Pelosi Speaker – Designate, March 3, 2013. Nancy Pelosi, “Pulling out of JCPOA, Trump Isolates America and Endangers Global Security,” Office of the Democratic Leader, May 09, 2018. CNNPolitics. Twitter Post, October 22, 2018 5:51 AM. Sarah Lazare, “Nancy Pelosi Finds Time for War Hawks – But not Yemeni-American Peace Advocates,” In These Times. Rebecca Kheel, “House Lawmakers Delay Decision on Saudi Arabia Pending Investigation,” The Hill, December 13, 2018. Rebecca Kheel and Jordan Carney, “Pelosi Faces Pressure to Act on Saudi Arabia,” The Hill, December 16, 2018. Emily Birnbaum, “Pelosi: Follow the Money” to understand Trump-Saudi Relations” The Hill, October 22, 2018.